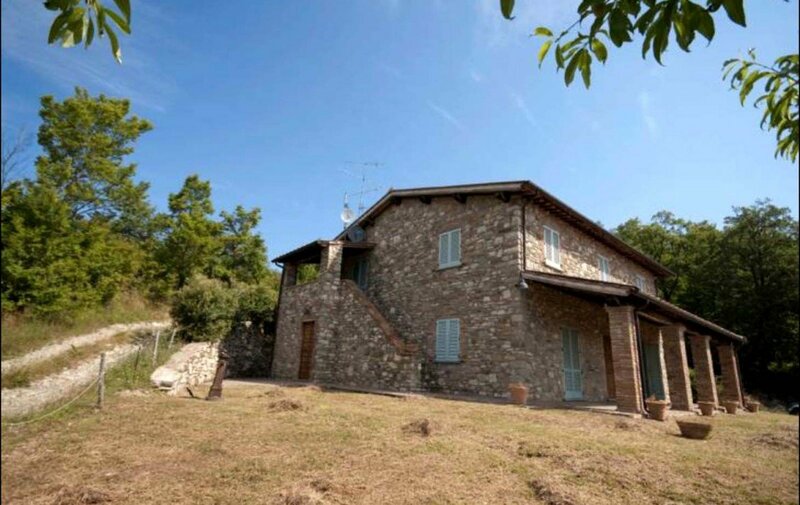 With commanding views that stretch across the Casentino hills, Casa al Vento is positioned in a private and tranquil hillside location. What was once a stone ruin has since been restored into a luxurious 280 sqm home. Passing by the medieval hamlet of Bibbiano, you can spot the property on the hillside. The dirt road passes a few other homes and then to the main gates of the property. 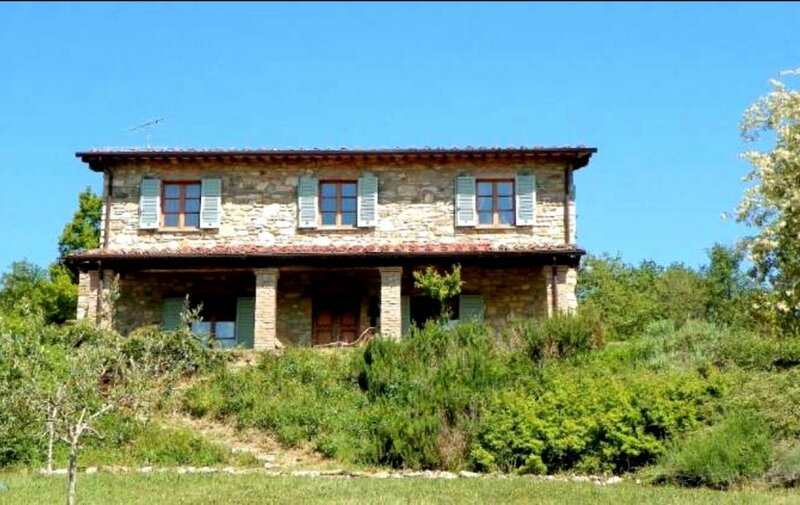 This farmhouse is constructed of stone and terracotta, typical of Tuscany at its time. 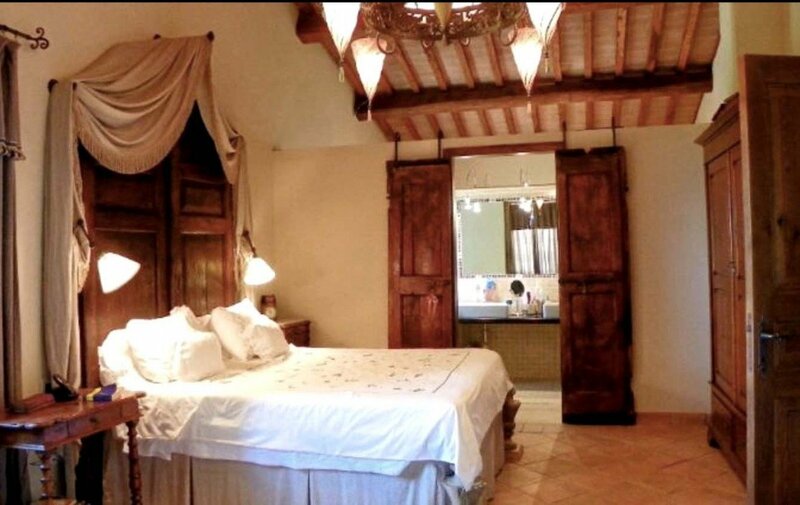 The floors throughout are laid in interesting patterns with beautiful hand made terracotta tiles. 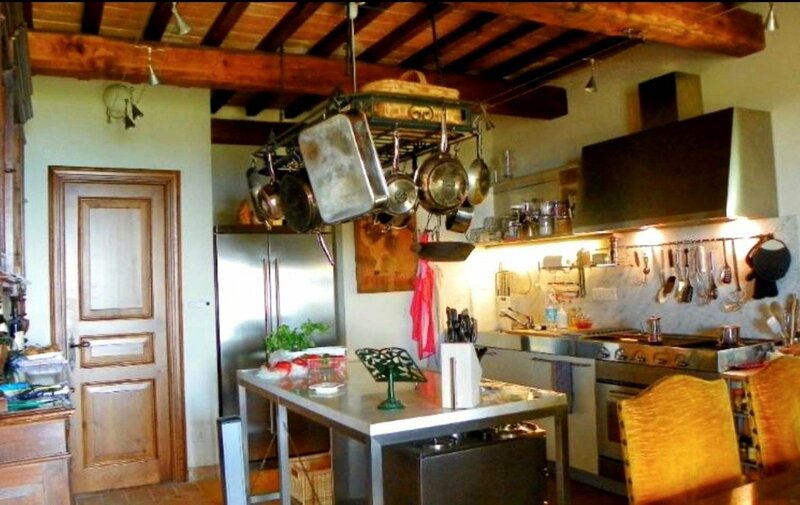 The beams supporting the floor and ceilings are of Tuscan chestnut. 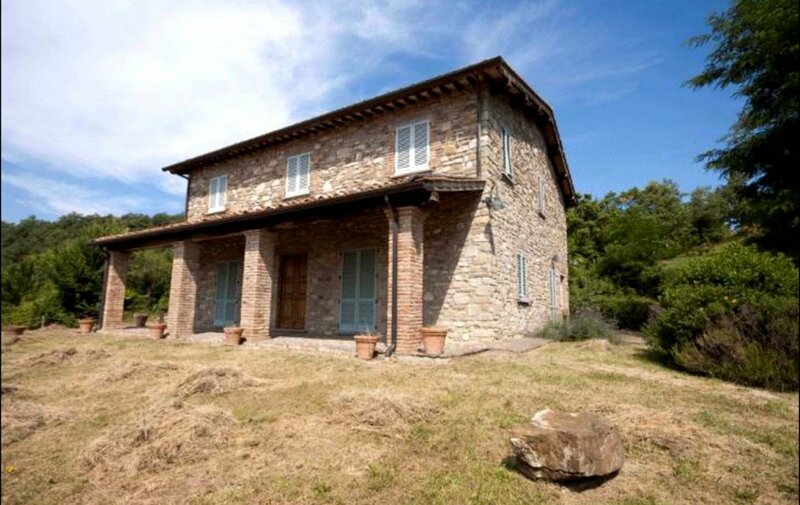 Casa al Vento has been carefully restored for modern living while preserving all the charm and historic style that characterize the homes of ancient Tuscany. The main door opens into a foyer. To the left we find a spacious sitting room with stone fireplace and a large shower room. To the right, a large kitchen/ dining area that leads back to the laundry/storage room with external access. Up a flight of stairs and we are in the night quarters of the home. The master bedroom has a large and luxurious ensuite and walk in closet. A door opens onto a lovely terrace here, where one can enjoy a bit of privacy if wished. The second bedroom, bright and airy, also has a mansard that can easily be converted into either study space or extra accommodation. The third bedroom is equally as comfortable. A large bathroom is shared by the two guest bedrooms. Just off the stairs and landing, the owner has created a nice desk area for computers and office work if needed. Back outside, the covered terrace is a perfect spot to sit and enjoy the views, enjoy evening dinners and entertain friends and family. There is plenty of room for a swimming pool and other garden niches if desired. With 8 hectares surrounding the home, mostly woodland and arable land, there is a real sense of privacy and exclusivity here.  The area around Casa al Vento is rich in history, wildlife, and local art and culture (i.e. food, wine, and local festivals and events). The nearest large city is Arezzo. Here art and culture abound. Pierro de Francesco painted the famous fresco, “The Legend of the True Cross”, at the Church of St. Francesco in the center of the old town. At the Church of San Dominico you will find the Cimabue crucifix (Cimabue was heir to Giotto). 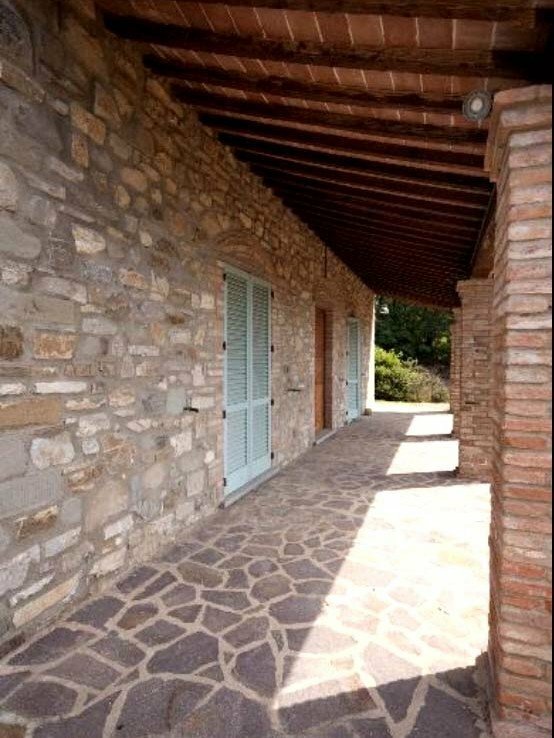 All basic amenities can be found in Capolona, which is a mere 5 minutes drive from the home. 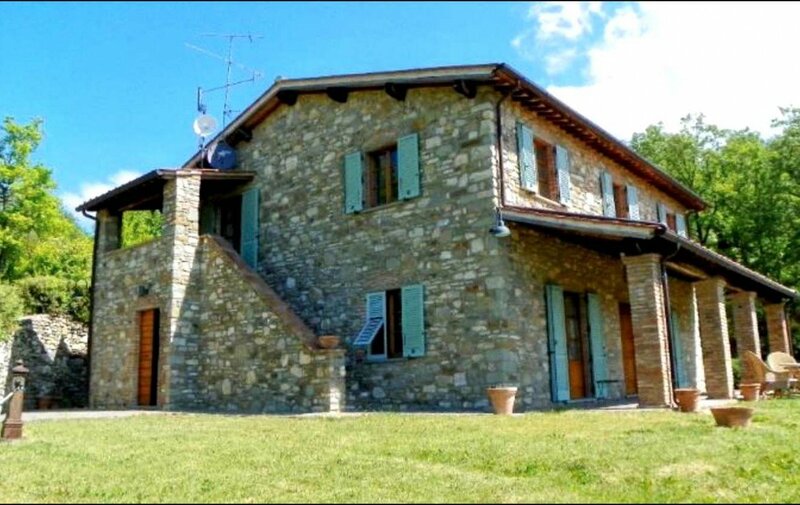 Our thoughts: Casa al Vento is in the perfect position to enjoy both country side Tuscan living and the town life of places such as Arezzo. There is a nice amount of space for family full time living and/or as a holiday retreat. Although the property does not have a swimming pool, there is definitely a large choice of areas to install one AND maximize on views! Beautifully restored using fine materials and in excellent “move in” condition, this home is ready to use and enjoy!